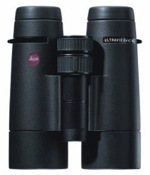 Choosing optics for nature observation, in a market with so many choices, can be a difficult and confusing decision. While watching birds is probably the most demanding use of binoculars and scopes, the basic principals discussed here remain constant regardless of the application. The factors determining the best choice of optics vary with the quality and design of the optics, the conditions in which they are used, and preferences of the individual using them. The reason that birders are often considered the most demanding users of binoculars is that birders must not only spot birds but also identify them. This often requires very sharp views such that fine details can be observed. Birds are found in all types of environments, at all hours of the day and night and in every kind of weather condition. 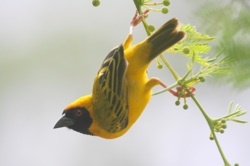 Frequently, views of birds are of limited duration, meaning that the quality of a very short look can determine whether or not an identification can be made. The optics used must be able to deliver the best view possible in all conditions. The basic considerations for choosing a pair of binoculars (or scope for that matter) boil down to three or four factors. First is, of course, the image quality of the optics chosen. The design, quality of materials and manufacturing factors are all important to how well they will work over any period of time and conditions. These considerations are discussed later in this article. Next comes how easy they are to use. This is a more subjective question since we are all a little different. Common sense tells us that it is not practical to carry a 200-pound telescope out into the field for birding, but not necessarily how the small differences of design will affect any user. The weight that any person is comfortable carrying around their neck is determined individually, but enough data is available to make good choices. Weight issues are also addressed later in the text. Durability and weather resistance are also main considerations in choosing optics. Getting out into the field in cold weather to find that a non-sealed or non-nitrogen filled pair of binoculars has fogged up on the interior can ruin an outing. A pair of binoculars that looks fine in the store but are of poor quality and design may not withstand the simple unforeseen hazards that most optics face. Some very fine binoculars are delicate, such that a fall from the seat of your car can knock the mirrors out of alignment, which is costly and time-consuming to repair. The most subjective test of any binocular is how it feels in your hands. Is there too much magnification to hold them steady? Are they so heavy that after several hours in the field they make your neck and back sore? Does the focusing knob require too many turns to bring something into focus? All this and more will be addressed here so that the best choice can be made within any individual’s budget and needs. Welcome to optics4birding.com. We will try to answer most of the common questions, address the major designs and considerations that make for a good choice in optics. We will review the popular optics available on the market and try to provide an unbiased view to help you decide what might be the best choices for you.